The best looking fishery I have visited. Very natural, with mature reeds and willows. Expect to hear Bitterns booming in the spring. I have only fished the larger Moors lake, which is stocked with primarily with Carp (some in double figures). But also has a good selection of silvers and the odd Pike. Water is deep and fishing in the colder months is difficult, but in Spring and Summer expect some good action. There is also a smaller Specimen lake with Carp clearing 20lbs, and a very nice syndicate lake which also looks perfect for big Carp. If you don’t catch anything here, something is very wrong! All four lakes are packed with Carp. Jade lake has the biggest ones, well into double figures. Emerald lake has smaller Carp but also a large head of Skimmers, meaning that your float will be bobbing! Sapphire has a similar set stock to Emerald but has a slightly more natural feel with loads of reeds and low lying trees. Ruby is absolutely crazy in the warmer months. Smaller Carp are everywhere and always seem to be very hungry. Catching 20+ in a session is likely! 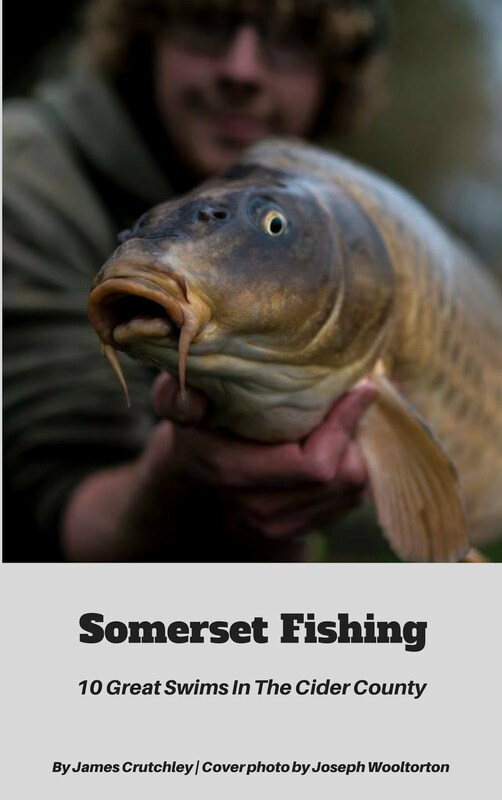 A nationally known fishery and many would argue it to be one of the finest. A very busy match scene, with Cary and Campbell lake being booked out a lot. Some incredible weights have come from these lakes, winning weights often top 100lbs. The older lakes, Middle and Spring are particularly picturesque and have recently been stocked with a fresh batch of Carp. Some older fish in here are around the 20lbs mark. There are also some sizable Bream. Match lake is a personal favourite of mine, with plenty of plucky little F1s which bring plenty of action, especially in the summer months. A small and tranquil fishery. Away from any main roads, tucked away on the Somerset Levels. 4 lakes with plenty of features to fish towards. Tealham Lake holds the biggest fish and is ideal for Pole fisherman and on the waggler. Fishing close to the island is always a winner. Tadham lake is used for matches a lot but must be so popular for a reason! Never fished John Walter lake but again it is popular. Sidneys lake is the newest lake but holds plenty of Carp and makes an excellent runs water in the summer. Tucked away in the small village of Shepton Montague. You may well need a sat nav to find it! But if you do a busy session is pretty much guaranteed. Three lakes in all. The lower lake is about half an acre with a small island on the far side. It is loaded with lower single figure Carp but there are some bigger fellas as well. A few up to 20lbs. Silverfish action can also be prolific with plenty of decent Skimmers, Roach and big Perch up to the 2lbs mark. The other two lakes are a bit further up the hill. One is cicular and little. Filled with mainly silvers and small Tench. Although some rogue Carp have found their way in apparently! The top most lake is about half an acre and has a couple of small islands to fish to. It is dripping with small Carp around the 2-3lbs mark. Chuck a bit of bread out and you are away! There are also some silvers but I don’t think they get much of a look in! 3 Lakes just off the A303 near Yeovil. The track down to it is a mile of bumps and jolts. Make sure you have good suspension... Lake 1 is a Specimen pond of about an acre. It contains some big Carp beyond 25lbs. Often people on there and because its quite small it cant really hold more than 3 or 4 fisherman at a time. Pond 2 and 3 are both a bit bigger and offer plenty of Carp action with a good chance of a double plus plenty of single figure carp. Bread works well along with pellets. There are some silvers as well but they get pushed out by the Carp. Doesn’t look like much but holds a special place in my heart. First place I went when I got back into fishing. Packed with Chub. I have seen a proper chunk swimming with smaller Chub. Certainly above 4lbs. Have caught 3lbs here. There are Brown Trout towards the upper reaches but I haven’t caught one (yet!). Best in winter as it gets very clogged with weed in the summer months. These days I do a bit better (but still hit those snags). This is a great place for bites with lots of small Chub along with Dace and a few Roach, all in lovely surroundings. Haven’t fished it as much as I would like but there are some good Perch around here. Deep water and plenty of reeds. Need to try this one out some more! Had some good times on here. Rudd are a great target in the summer. Pristine and can grow quite big. Winter time, it has to be the Pike. Plenty of hungry Jacks to have a go at.